There’s a lot to unpack here. There are pool parties to attend, a new character in Mayor Kline (Cary Elwes), summer jobs, and even a few shots of characters recalling the seemingly wistful innocence of the past. 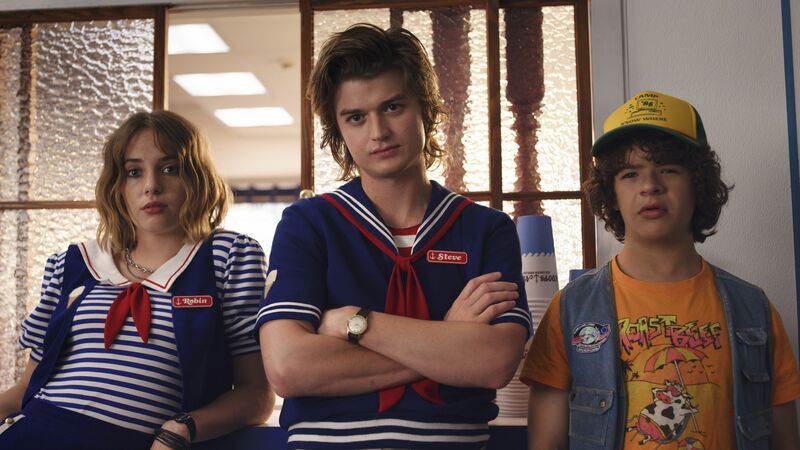 As the official Stranger Things Twitter account notes, “one summer can change everything.” It definitely looks like that’s the case here, as this season is going to go all-in on telling the characters’ sordid coming-of-age stories. “We’re not kids anymore,” says Mike (Finn Wolfhard). “I mean, what did you think? We were just going to sit in my basement all day? Play games for the rest of our lives?” Well, it’s probably safer than being pursued by interdimensional monsters, Mike. But we get it, growing up is hard. Then there’s bedroom dancing, Eleven (Millie Bobby Brown) going to check out the new Starcourt mall, and what looks like some potential ‘80s glamour shots in action. Uh, yes, please. Dustin (Gaten Matarazzo) and Steve (Joe Keery) are living it up at a summer job, too, which can only lead to some hilarious hijinks. And what will happen to the burgeoning romances we saw last season? Only time will tell. There’s also a brief look at what appears to be a new creature, straight out of the Upside Down. It resembles the Demogorgon we’re already familiar with, but with some bizarre, blob-like qualities. The jury’s out on what that thing’s supposed to be, but you can bet it’s going to be related to whatever this season’s Big Bad ends up being. There’s a new mall opening up in town, which looks like it’s going to play a pretty important role in the new episodes. And in true Stranger Things fashion, there looks to be plenty of trippy sequences and pastel-hued lighting amidst some explosive fireworks and action shots. Hawkins, Indiana is never going to be the same – and frankly, we can’t wait.